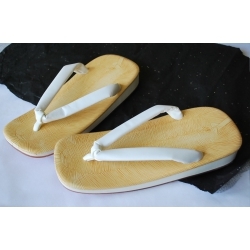 Amezoko ZORI White M 25.5 cm (7.5 - 9 inches) L 28 cm (10-11 inches) ZORI is a traditional Japanese sandal. SAKATA Igusa zori for men Size: 28cm (10 -11 inches) Zori made from "IGUSA", plant used to make TATAMI. It plays a bactericide and fungicide role. Its effect is active for several years. SAKATA Igusa zori for men Size: 26.5cm (8.5 - 10 inches) Zori made from "IGUSA", plant used to make TATAMI. It plays a bactericide and fungicide role. Its effect is active for several years. SAKATA Igusa zori for Men Size: 25cm (7 - 8.5 inches) Zori made from "IGUSA", plant used to make TATAMI. It plays a bactericide and fungicide role. Its effect is active for several years.